I've once again secured the keys to the blog to give a quick report from the first mountain bike race of the Pro XCT series. 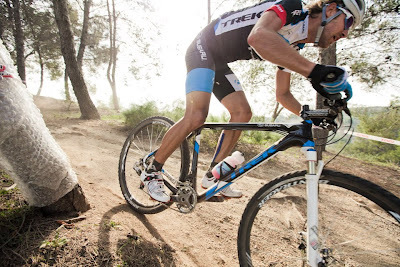 I traveled down to San Dimas, CA last weekend to do the team photos for Andy Schultz and the Kenda Mountain Bike Team. 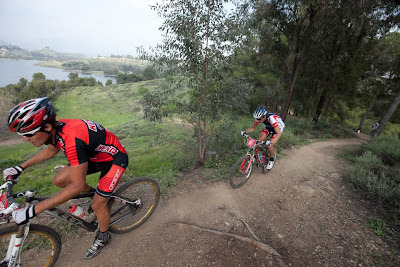 For some bonus shooting, I went down a bit early to catch the first round of the race series held at Bonelli Park. Shaun asked me to do a little scouting and see how the course and venue held up against the course at Marshall Mountain. First off, it was great being in Cali this time of year to get a little taste of summer. 75 degrees and sunny is pretty hard to beat. 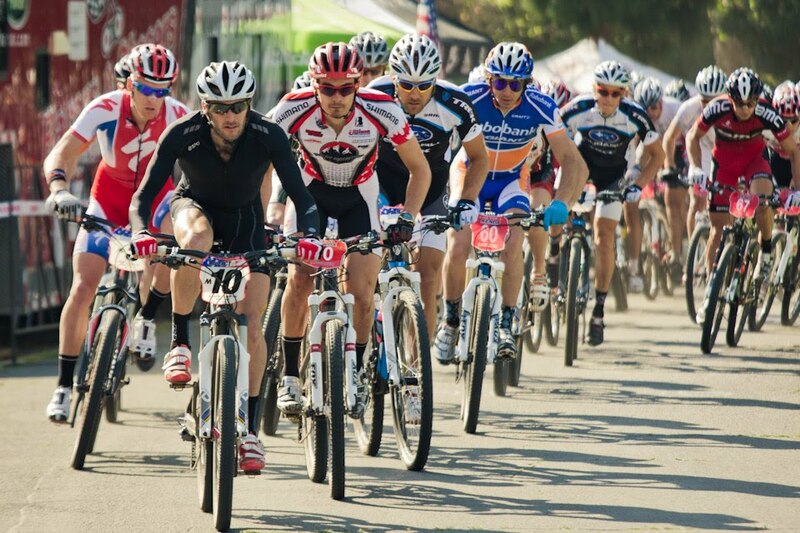 Venue: the race was held at Bonelli park in San Dimas. A small park with some nice terrain in the middle of all of that urban-ness. There was nice, cool grass to and varied terrain in the park. A nice playground and a building with restrooms. Big Bear Productions handled the logistics of the course set up, and it seemed solid. The one thing lacking from the venue for me was food options...or rather, any food options. 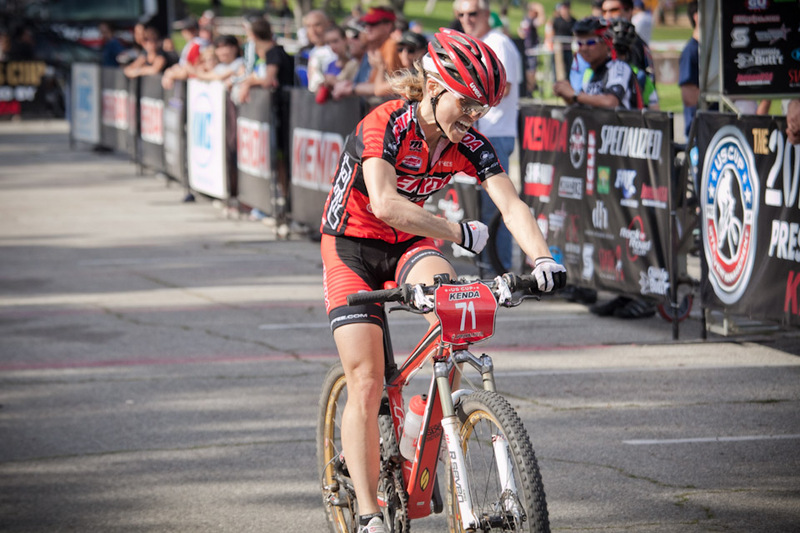 Course: it was a 4.7k loop with punchy climbs and descents. From the racer aspect the course was a bit bland. Not very technical. But from a spectators perspective it was pretty sweet. There were a couple of points on the course where you could see a lot of the race. From a photographer's aspect it felt a little like a cross course. I could shoot the leaders 3 or 4 times per lap. The climbs were steep, as well as the descents. There was room for passing, and a nice paved section for just a bit of recovery and drafting. The women did 6 laps and the men did 7. There was one 1k loop that they did at the start. The laps were taking the women 15 to 16 minutes, while the men could cover it in 3 minutes quicker generally. Both fields finished in the 1:35 - 1:40 range. 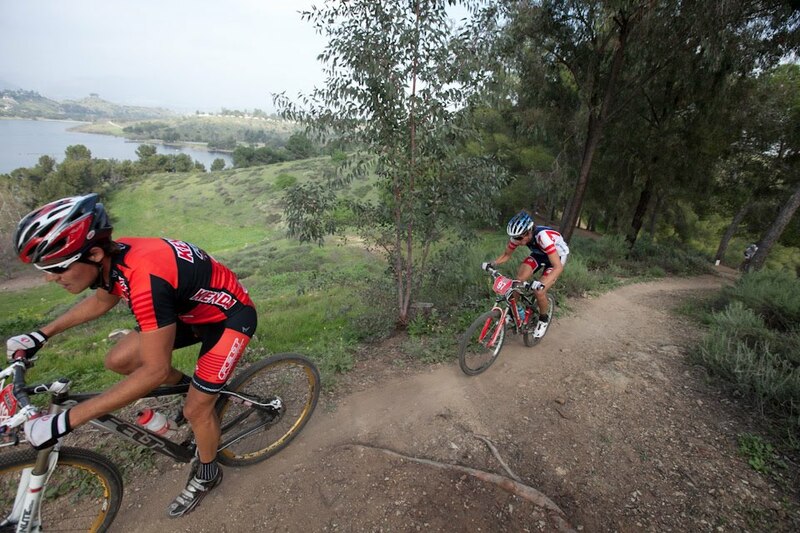 From my couple of times out at Marshall, the course at Bonelli seemed really similar. One thing that did surprise me about the weekend were the small crowds. 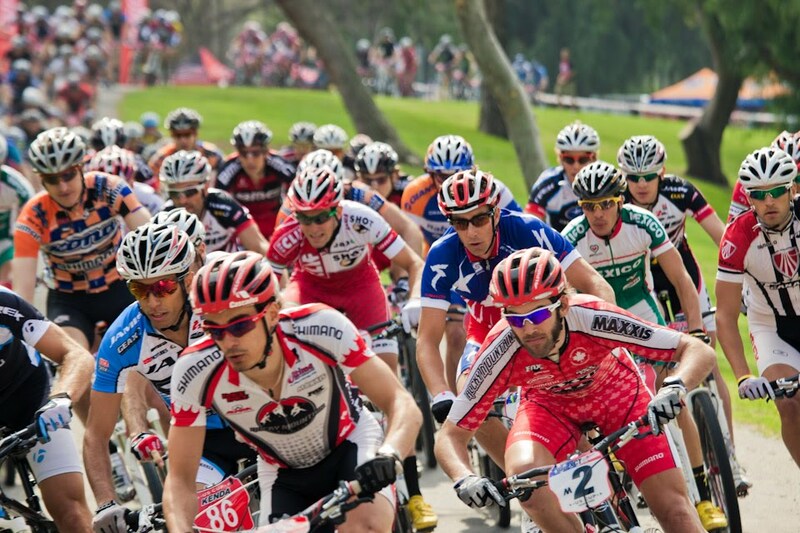 I figured with the race being so close to millions of people, that the crowds would be thick and boisterous. Not so...it was a little sparse. 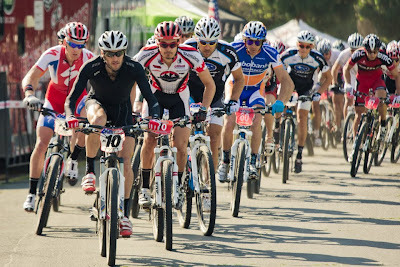 This is where I think that Missoula could really make a huge impression on the racers and cycling scene in general. If there was a Rolling Thunder -esqu crowd at the races (and it'd be great if it were bigger than that) it would certainly be recognized by everyone involved. Having services (food, beer, etc.) and somewhat easy access to the venue could help in drawing a crowd. 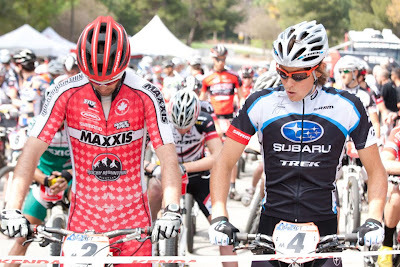 But if everyone who reads this blog, or races, or rides, would encourage folks to show up to support the racers, and the people putting it on, great fun would be had by all. Monte Paschi didn't bode well for the prediction table. Gilbert won and we had him at #16. 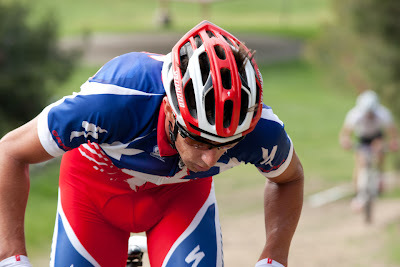 Ballan is having a great year and finished 2nd. We had him at #15. 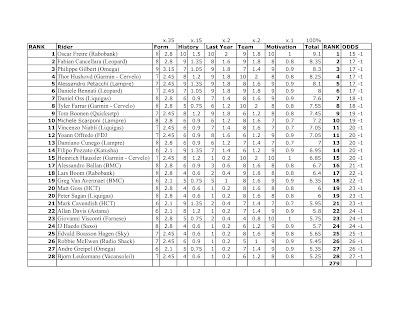 A classics dedicated Cunego was third and we had him at #18. +44 was the final score. 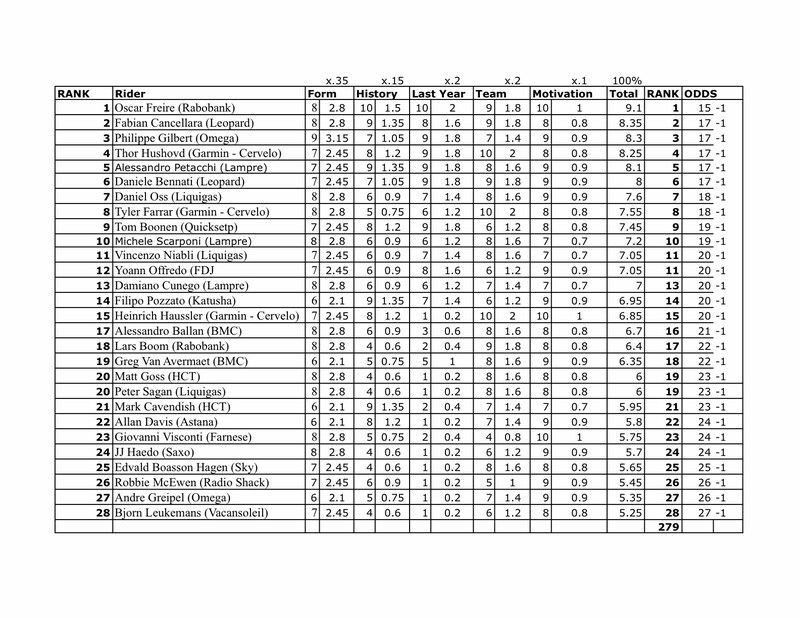 That added to Het Nieuwsblad (+33) and we are +77 on the year. Not the best start but Milan-San Remo is this weekend and that should provide some fun finishes. Our top 3 are Oscar Freire, Fabian Cancellara, and Phillipe Gilbert. We are giving Freire 15-1 odds. The TTTT is cancelled today. There is still snow at the top of the course.